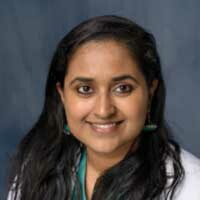 At UF Health Shands Hospital, one of seven hospitals in the University of Florida Health system, Harini Bejjanki, MD, assistant professor in the Division of Hospital Medicine at the University of Florida, routinely found herself in situations where she had ordered a study for an admitted patient only to later discover that the same test had been done previously. After a brief review, Dr. Bejjanki found that Shands’ inpatient lab annual costs were above the national average, and that even lab technicians had noticed studies such as measures of hemoglobin A1C for diabetes were being performed multiple times on the same patient within two to three days. 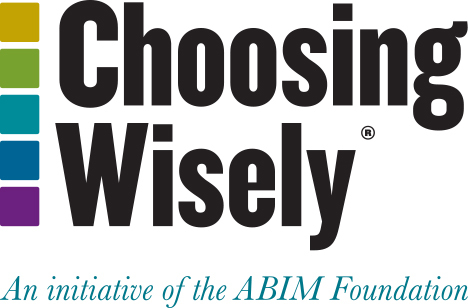 Dr. Bejjanki was already leading a team that had been charged with decreasing lab costs, so instituting an intervention based on Choosing Wisely recommendations was a natural fit for that work. Dr. Bejjanki developed a study using “pop-up” best practice alerts in the electronic medical record system, based on Choosing Wisely lists from the Society of Hospital Medicine and the Critical Care Societies Collaborative, which has listed avoidance of daily diagnostics tests as one of its recommendations. The results were published in October 2018 as “The role of a best practice alert in the electronic medical record in reducing repetitive lab tests” in the ClinicoEconomics and Outcomes Research journal. The study included 17 clinical lab tests, including complete blood count with differential (CBC w diff), B12, prostate specific antigen (PSA) and hemoglobin A1C, and involved all inpatients on the general, intermediate and intensive care floors at the 915-bed private, non-profit tertiary care center. The goal was to use the computerized alerts, with evidence-based, test-specific time intervals determined by a multidisciplinary group of hospitalists and pathologists to reduce the percentage of repetitive labs over 17 months. A test was considered duplicate if a second test performed within a specified time period would not change patient management. The alert displayed ordering time, collecting time, resulting time and the most recent result. There was a wide range in study results, with a high of a 58.7 percent decrease for duplicate Vitamin D testing and a low of a 6.9 percent decrease for duplicate PSA tests. Overall, the intervention was effective in reducing the total number of inpatient duplicate orders,as well as the percentage of duplicate orders among the total number of inpatient lab orders. While duplicate orders for CBC with diff had a 3.3 percentage increase after intervention, both the total number of inpatient orders and total number of duplicate inpatient orders for the blood test declined. The associated cost of duplicate labs declined by roughly $70,000 over the study period. Dr. Bejjanki said the Shands study is unique in that it implemented the intervention across 17 lab tests and collected data over three years to allow for random variation and more statistically reliable results.